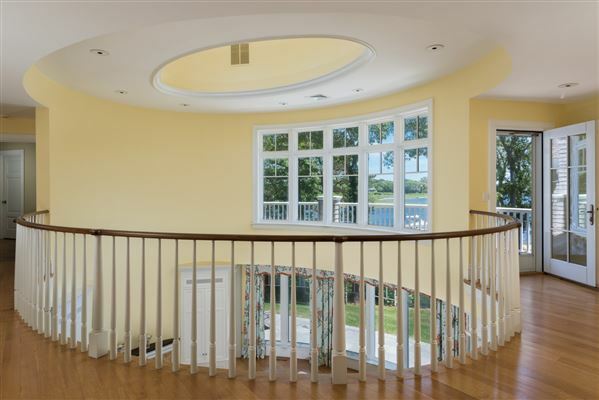 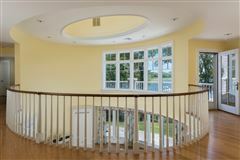 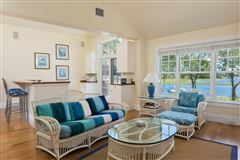 Exceptional waterfront estate located within the premier gated community of Oyster Harbors. 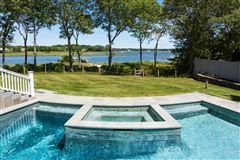 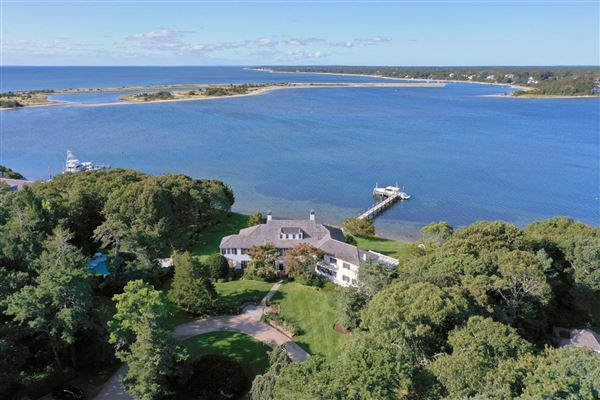 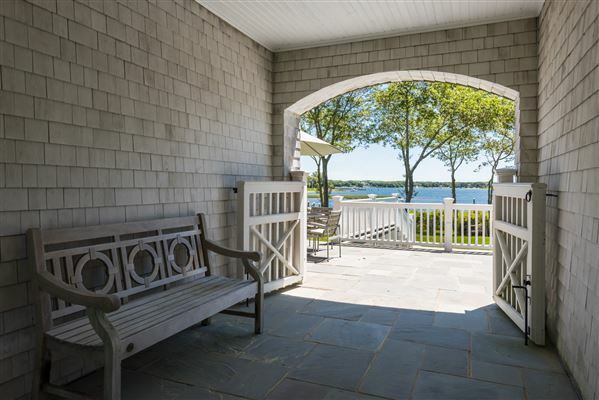 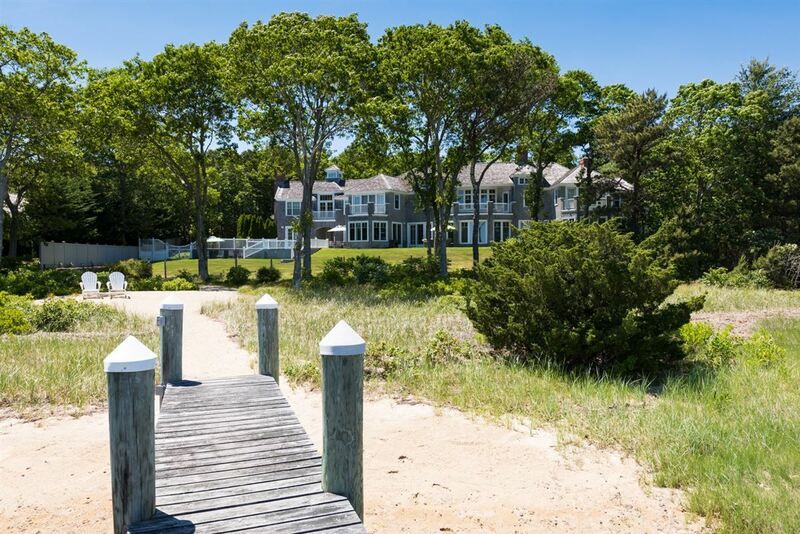 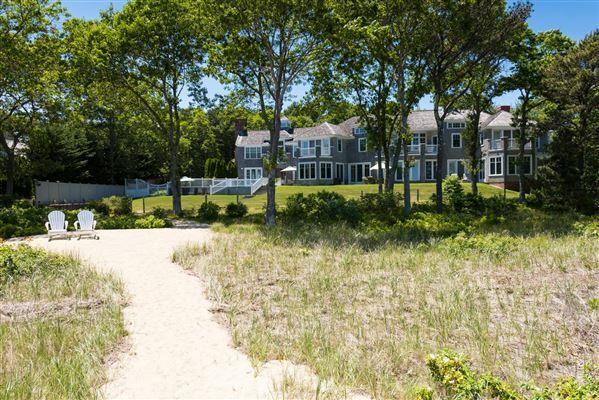 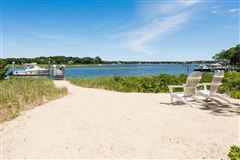 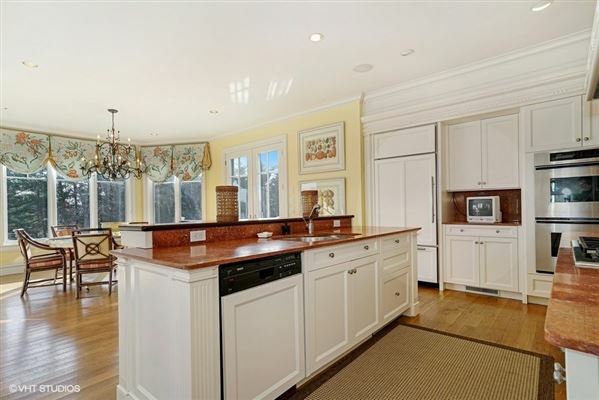 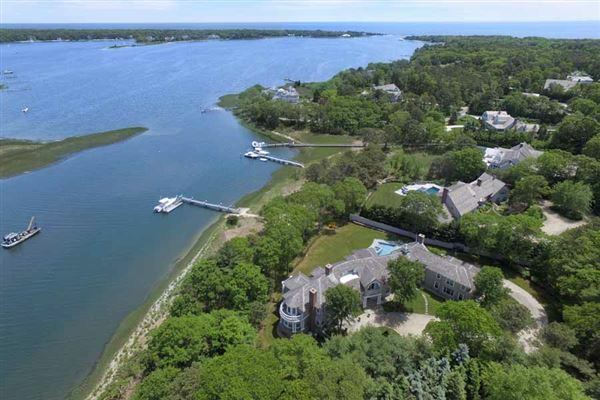 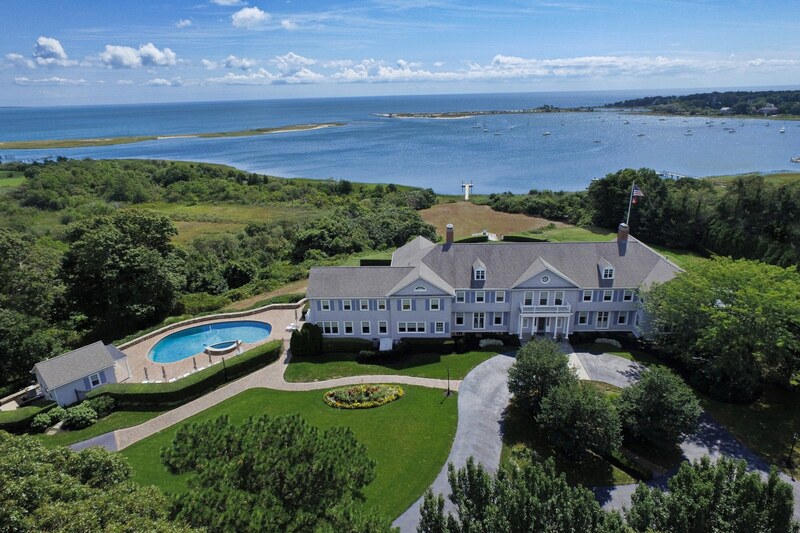 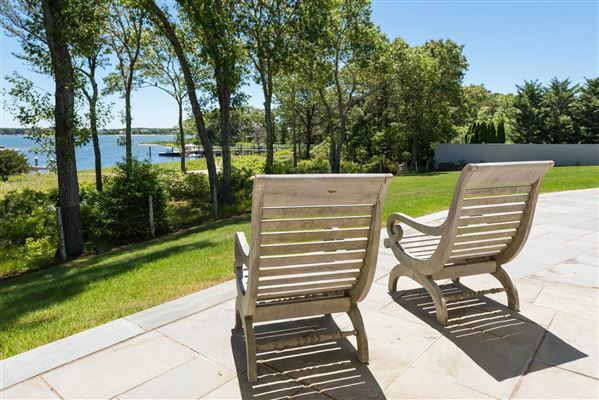 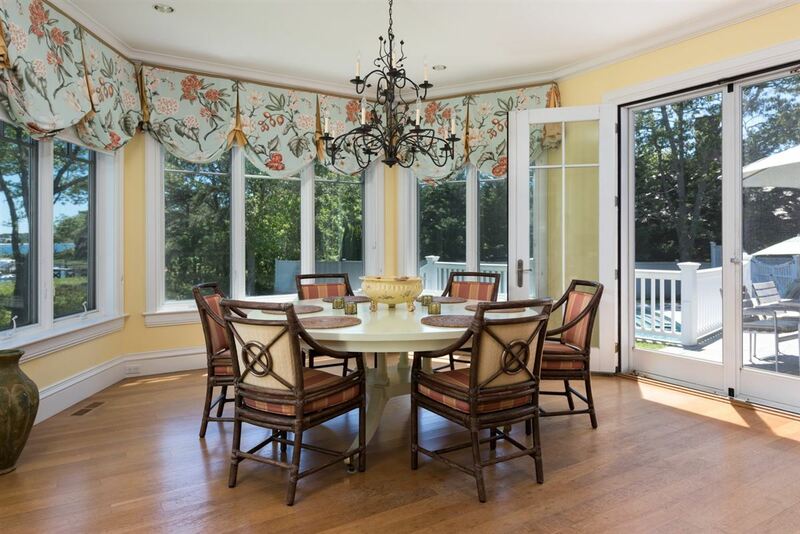 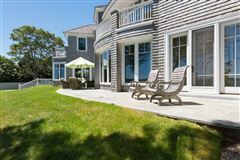 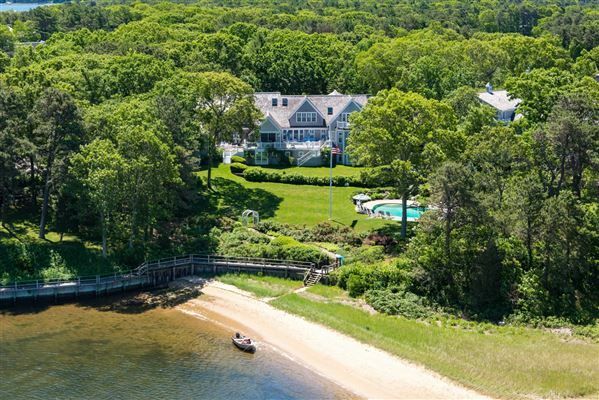 This stunning five bedroom residence with lush landscaping and breathtaking views of West Bay and Nantucket Sound combine to create the ideal waterfront setting. 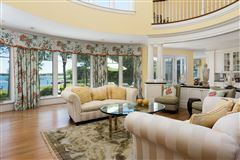 The dramatic, light-filled interior spaces have been thoughtfully designed and offer expansive windows with beautiful water views. 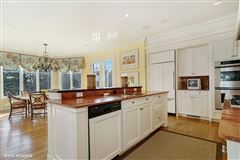 Anchoring the home is a well-equipped kitchen with a spacious dining area opening into a great room with vaulted ceilings and fireplace. 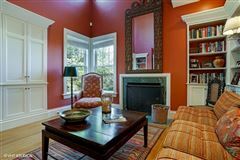 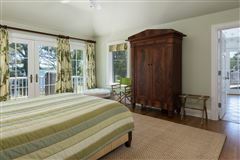 There's a handsome study/den and spacious and elegant first floor master bedroom. 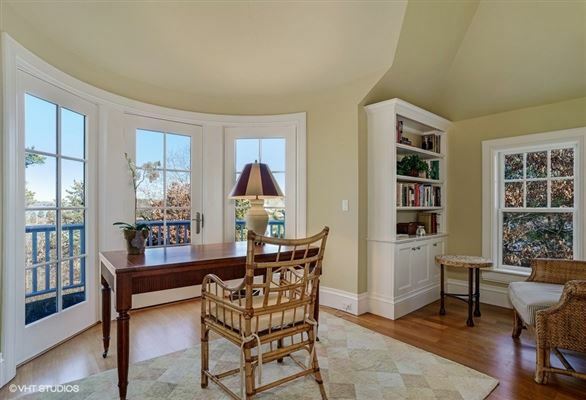 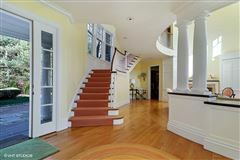 Custom columns, built-ins and beautiful wood floors enhance these spaces. 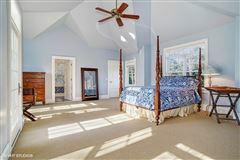 Additional bedrooms on the second level along with a private bedroom suite with sitting room, kitchen and bath are perfect for family gatherings or large scale entertaining. 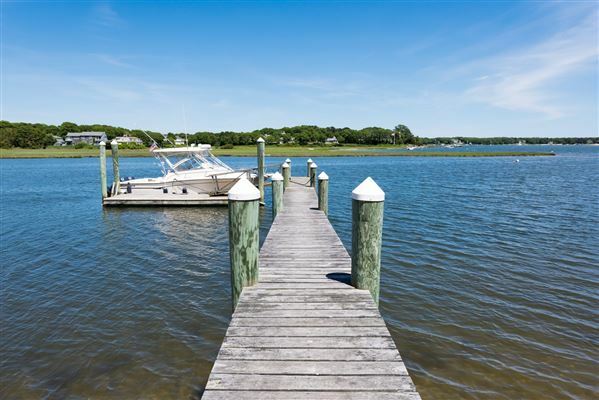 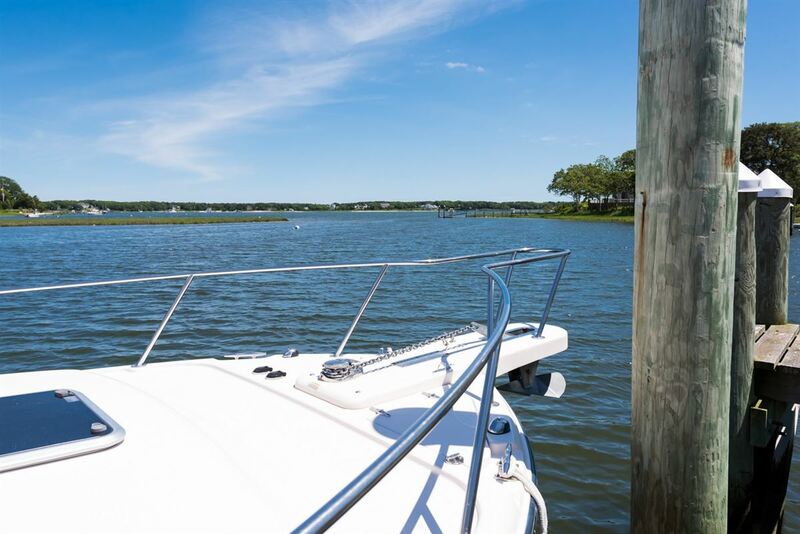 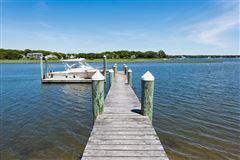 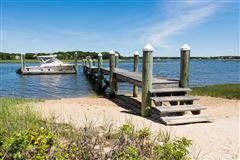 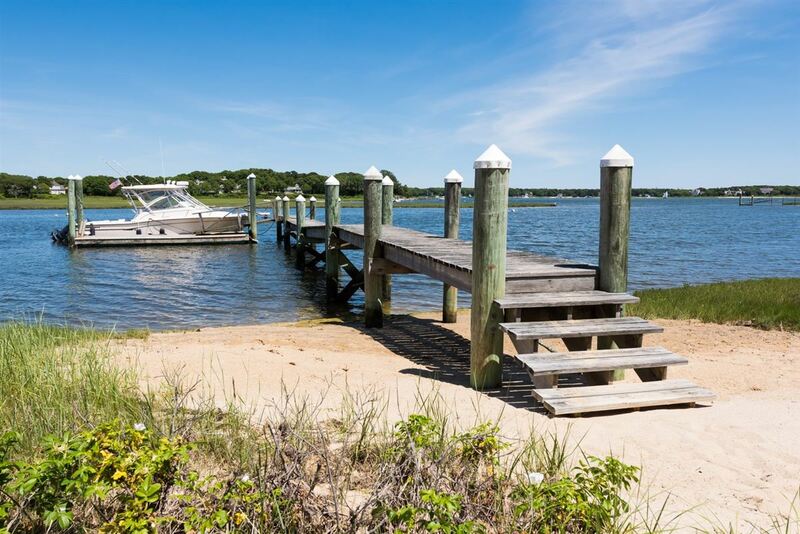 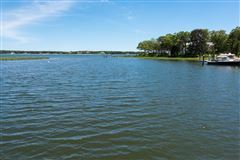 Amenities include an in-ground pool and private deep water dock. 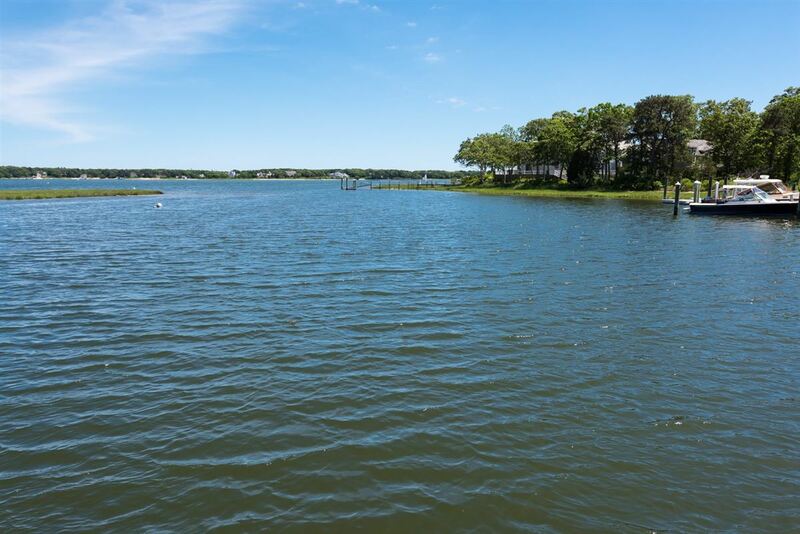 Included in this offering is a separate one acre building parcel.